Who needs short run direct Silk Screen Printing? With so many start-ups in the private label skincare industry, testing new products and refining your brand is a process and it makes sense to start with small quantities. We’re a superior silk screen printer specializing in small runs of decorating glass, plastic bottles, jars and tubes. Small run silk screen printing is a craft and we have perfected it. Silk screen printing produces an elegant look that goes perfect with a minimalistic design. Keep it simple when designing your packaging. from artwork approval based on time of year. Prices are based on 1 design. No Combo Runs. Additional charge for glass. 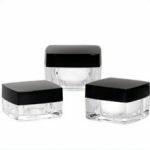 Each order has a $95 set-up charge for each different container size or design change. to be unpacked, packed and printed from many standard ink colors. Set-Up charge Includes: Film positive(s), burning/exposure of mesh screens, container’s to be unpacked, packed and printed from many standard ink colors. Set-up fees do not include art changes. Glass, Polypropylene (PP) and Metal has to be pre-treated and will incur an nominal additional charge. supplying containers and artwork in an Ai or EPS file. glass and all types of plastic bottles, jars and tubes. Blue Line Labels would be happy to provide you with an actual “printed sample” of your item prior to running the entire job. The charge for this depends on the amount of ink colors. One ink color will be $290. Once approved, 50% of this charge would be deducted when printing your complete order when your invoice is $900+. This price includes printing of film, burning of silk screens, inking and configuring the printing press for your specific size item to be printed. You will need to provide us with 10 of your containers in order to receive 2-4 perfect samples. Important things to know before purchasing your bottles, tubes and jars. To avoid problems with your printing, have sample containers sent to Blue Line Labels. 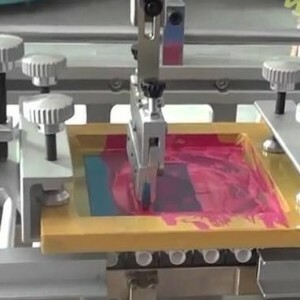 You may be unaware when purchasing painted glass that will scratch, surplus or slightly defective containers or a plastic blend that can make it very challenging to screen print directly onto. Send us a sample so we can determine the proper ink needed based on the type of plastic and coatings on glass. Our goal is the same as yours, we want to deliver beautifully decorated silk screen jars, bottles, tubes and custom boxes. Keep your design simple! Screen printing is made for an elegant and minimalistic look. Here are the Steps to a Fast Turnaround and Great Experience with Blue Line Labels. We work closely with APC Packaging who supplies excellent quality glass and plastic bottles, tubes and jars for silk screen printing. Look at their available in-stock items and contact Nikita Byfield or Orlando Bonnelly at APC Packaging (954) 978-4567 to order samples. 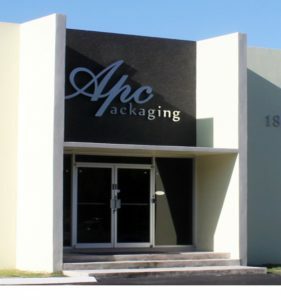 Blue Line Labels picks up at APC Packaging daily at no charge or ship your packaging directly from another company to Blue Line Labels • 1931 Banks Road, Margate, Florida 33063 • Attn: (Your Company Name). Email your artwork to bill@bluelinelabels.com and make sure you include your fonts outlined and send an Ai, eps or PDF file. You can also speak to Devin, Wendie, Patrick or Art and they can help from start to finish or anywhere in between to prepare your art files for screen print. We charge $55 per hour and our creative team is fast, efficient and will do it correctly. Important that your designer does not use thin small lines in your design or thin type styles less than 5 points in size. This causes a potential problem of the lines not printing correctly. We will do our best to advise but every bottle, tube and jar are made different from different manufacturers. 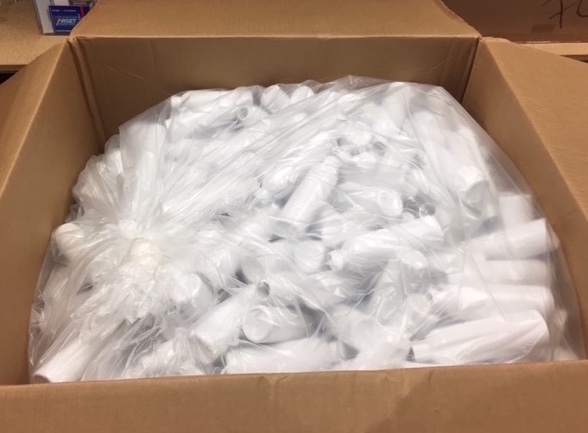 Be careful, not all packaging is made from virgin materials and packed correctly for shipment. Once all artwork is approved, we will ship your printed order in 3 weeks or less. Faster service is available if needed. We will send you a credit card authorization form for payment. Email us your shipping information including company name, contact person and phone number. Email us your FedEx Account# for small order shipments. We ship FedEx Ground using your account number. Larger orders on a pallet, you can make arrangements with www.FreightQuote.comor any any carrier of your choice. When your job is complete we will give you the weight and dimensions to schedule a pick-up. Do you need custom printed folding boxes, product labels, design or photography, we can help. Blue Line Labels is a full service one-stop company that can help you in every aspects of your packaging needs at affordable prices and attention to details. Cal Bill Berg or Devin Callaway to find out more information at (954) 969-9500. We work with many start ups and large companies and guarantee a smooth and happy experience with our services! 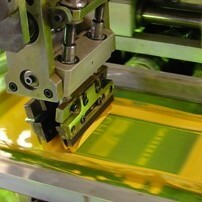 We print with a special epoxy ink on glass. It is harder to work with and curing time is a longer process. Most glass comes from overseas and a coat of silicon is added to prevent glass breakage during transportation. We need to take off the oils and silicon coating to clean glass and plastic polypropylene containers. It is necessary to flame all glass and polypropylene plastic with an intense flame quickly, to kill off impurities. This is necessary for the ink to stay stuck and cure. Flaming is an additional step that requires a flat charge of $50 for small quantities if we are printing on glass or polypropylene. When submitting artwork for screen printing, please send the original file in vector format (either .ai or .eps). If you cannot send .ai or .eps, we can recreate your artwork for an additional charge. 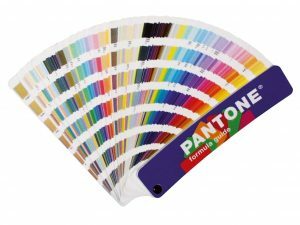 Please also indicate the PMS color if we are printing anything other than black or white. If you are doing more than one color, it cannot be tight registration. For instance, your logo can be one color and the text another; however, you cannot have half of a word in one color and the other half in another color. Call for great pricing on larger screen printing orders of 2000, 3000, 5000 or more. 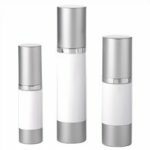 All of APC bottles, jars and tubes are excellent quality for printing and come professionally packed with partitions that help protect the outer surface from scuffs and scratches. After we screen print your packaging we repack each unit back in APC boxes using there dividers to avoid damage. When purchasing your containers from other companies be sure to ask how they come packed. If we received them in a big bag stuffed in a box or wrapped in shrink film, there will be an additional charge for packing materials. fresh box below properly for $19 per box. Blue Line Labels works closely with APC Packaging. 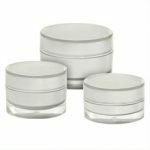 APC carries a full line of in-stock, quality cosmetic containers that are packed professionally. Not tossed in plastic bags with no dividers. We make it really simple. 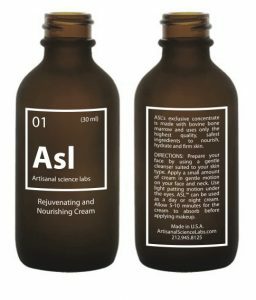 Order your bottles, jars and tubes directly from APC and Blue Line Labels will pick them up, screen print your order and ship to you or your lab. 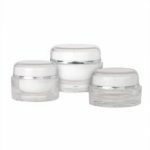 We recommend you call APC Packaging and purchase your cosmetic containers directly from them. APC has a full line of quality in-stock tubes, bottles and jars at a great value. 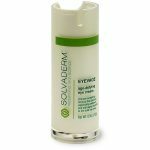 Need samples or have questions? Call APC at 954-978-4567 and ask for Orlando Bonnelly or Nikita Byfield. Please ask how your containers are packed. tossed in a plastic bag, then placed in a box and shipped to us. and individually bagged for the protection of every cosmetic container. 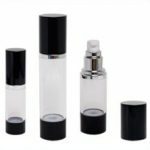 Airless bottles have a piston-driven mechanism that allows for airless dispensing of your product. Pressing down on the pump raises the piston placed at the bottom of the bottle and dispensing the product. 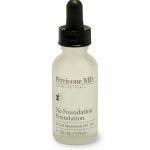 This seal of the mechanism prevents contamination and provides protection for sensitive and active ingredients vulnerable to oxygen. 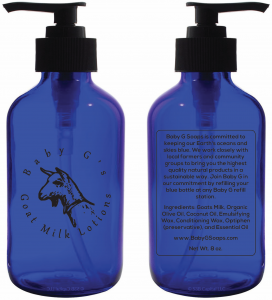 The bottles are top-filled without any special equipment required. 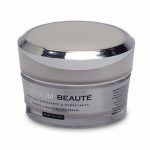 Give your product a sophisticated look with quality acrylic jars. Jars have a great canvas for silkscreen printing, hot stamping and labeling. 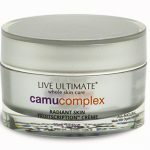 Common usage for acrylic jars are for high quality moisturizers, scrubs, exfoliants, gels and creams. 1. Direct Silk Screen Printing on Glass, Tubes, Jars and Bottles. 2. Quality Printed Cosmetic Boxes that match very close to all other printing. 3. Custom Cosmetic Labels and if needed Label Application on your containers. 4. Full Art Department to correctly prep your files for all your printing needs. 5. Full Commercial Quality Photography for your web site, brochures and catalogs. 6. 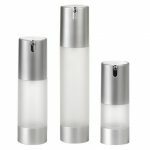 Large Selection of Bottles, Jars and Tubes In-Stock by APC Packaging. APC is 10 minutes from our printing company and we pick up for you at no charge. We are a one-stop printing company that takes the stress away from your working with 3-7 different suppliers. Call with any questions at 1-800-609-7079. Over 25+ years of visual product design and printing experience. 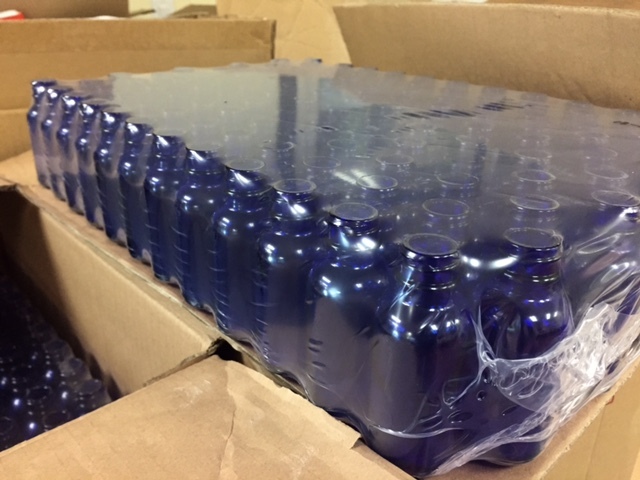 We can help design, print, apply and ship your labeled bottles and jars quickly so you are ready to fill and sell your products. Add value with a custom presentation box. Our straight or popular reverse tuck product boxes are printed up to 6 colors on 16, 18 or 24 point stock. 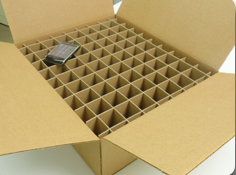 Order as little as 100 superior custom printed folding boxes. 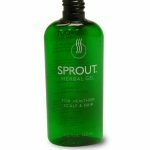 Need to add a crystal clear tamper evident shrink sleeve, with or without perforation, printed or clear. Available as individual bands or on a roll for machine application. A very inexpensive way to protect the contents of your product and avoid contamination. Optional 1-9 color printed shrink bands are also available. Call Blue Line Labels at 1-800-609-7079 for a quote or any questions. Enter The Result Of: 49+1=?